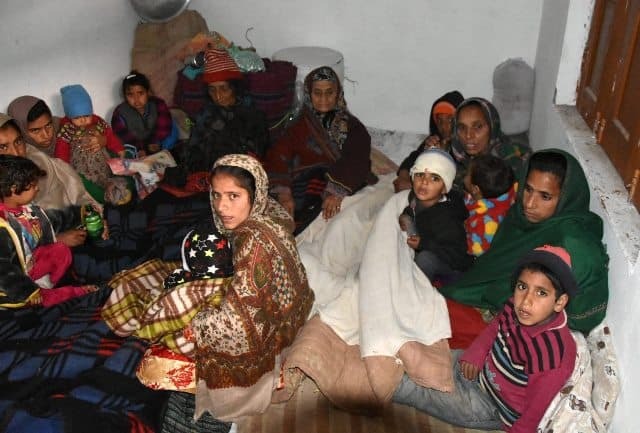 Villagers take shelter at a shrine after shelling by the Pakistani Army near the Line of Control (LoC), at Mendhar in Poonch district, on Wednesday. 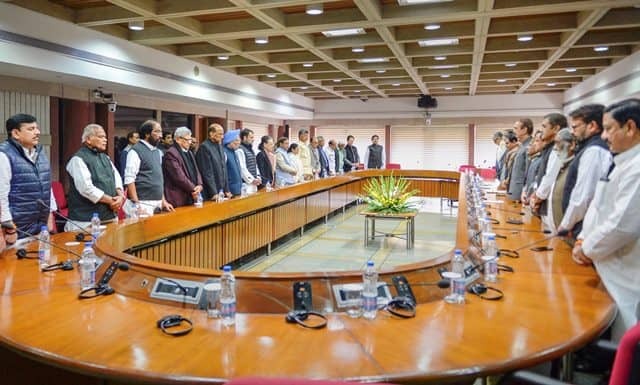 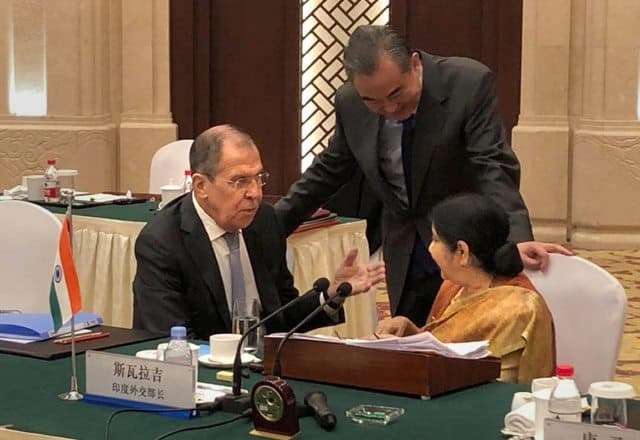 External Affairs Minister Sushma Swaraj with her Chinese counterpart Wang Yi and Russian counterpart Sergei Lavrov at the 16th Foreign Ministers Meeting of Russia-India-China (RIC) in Wuzhen, China, on Wednesday. 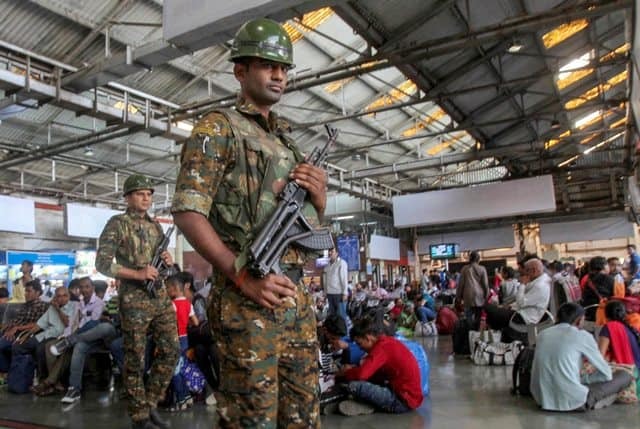 Security personnel at Chhatrapati Shivaji Terminus railway station after a high alert in the wake of the rising tension between India and Pakistan, in Mumbai, Wednesday. 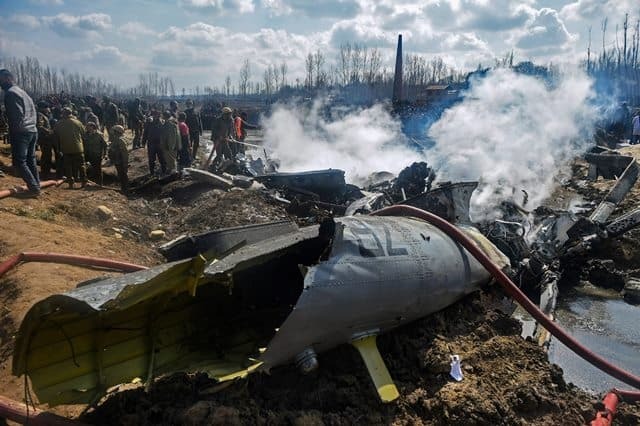 Wreckage of the MI-17 chopper that crashed in Budgam district of Jammu and Kashmir, on Wednesday.